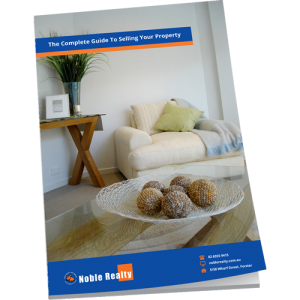 Noble Realty is the preferred real estate agent in the Forster Tuncurry region, that focuses on beautiful marketing & the best possible service at all times. Our stunning team, inspired by principals Vicki Bidner and Cindy Loadsman along with our dedicated staff combine to present you with the ultimate team of sales people, property managers, marketing consultants and support personnel. Our aim is simple – to provide everyone we touch with a stress-free, fun filled real estate experience. Thank you Vicki for excellent and efficient service and advice and communication as well as the extra care and assistance provided to ensure my property presented well to ensure a great result and a quick sale. I highly recommend Vicki Bidner and Noble Realty for the best customer service. "More than satisfied with the professional & friendly service from John. John helped us in many ways & kept us informed on the sale progress-nothing was too much trouble to him." "John, while always doing his best for his client the vendor was equally considerate for my wife and I the purchasers of the property. In the end I believe all involved were happy with the outcome. At all times John was professional, punctual and always willing to assist. We would certainly recommend John to anyone requiring or selling real estate." "John at Noble Realty made the recent sale of our family home at Tallwoods as stress free as possible. He found us a genuine buyer in a short time and we were kept informed of all matters relating to our sale. 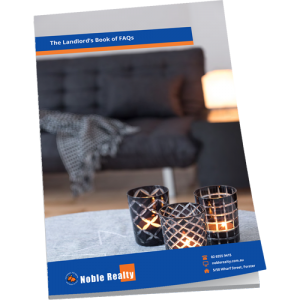 His professionalism, care and concern throughout the sale were very important to us and this certainly would support us recommending John in the sale of property." "Thank you Vicki and John for making this sale as stress free as possible. Noble Realty have a fantastic sales & property management team and certainly live up to their name!" "Selling a property can be an emotional experience, but Vicki handled the whole process professionally and with empathy. We would definitely use Vicki's services again if the need arose." "I have had a few dealings with Noble, John, Cindy & Vicki over the years, buying & selling. They are all very easy to deal with, I would use them again any time." "We were very impressed with John's level of service and honesty while buying our home in Forster. John took the time to make sure everything was in place and that we knew exactly what was going. We found John as a man full of integrity and very down to Earth, who gave us confidence as he made us feel at ease through the process. Highly Recommended!" "Vicki, did an excellent job, the house was set at a realistic price. Vicki made the negotiations that lead to the purchase of this property effortless and stress free, to the point where the sellers and us the purchasers both felt, that the selling price was fair and reasonable. I can highly recommend her and Noble Real estate, to any potential seller or purchasers." "Vicki is most professional yet friendly . She is always positive and enthusiastic keeping the faith until the sale finalises. Thanks Vicki." "I saw a property online and made contact with Vicki did the deal over the phone sight unseen, then exchanged on the property...a month later the first time I saw the property was 11.45pm 27th December 2017 I got to town unannounced and called Vicky who came straight to meet me with a spare set of keys, that was the first time I actually met her, haha what a meeting, I thought I was in for an ear bashing :( but she was unfussed and delightful. I spent my career in the Sydney real estate market so I think I know a thing or 2 about them. Vicki certainly knows her market and exactly her vendors expectations. If anyone mentioned to me that they were looking at property in Forster Vicki would be my suggestion for their first contact." We just call it home.